Corinne Crossley, LMHC and I attended the BEDA 2017 Conference this weekend in NYC! Corinne has been my partner in crime practically since I started private practice almost ten years ago (whoah, ten YEARS?!). Now, Corinne and I have a new endeavor together, a book! We love attending the BEDA conference, and this year was no exception. Here's some of what we saw and did! On Thursday evening, we saw an amazing viewing of "Fattitude", a movie that explores " fat discrimination and its main obective is to make the general public more aware of the prejudice that fat people experience." Boy, did it ever. I think I can safely say we were both touched by the stories we saw and the very real statistics about weight discrimination and fat bias in America. What was REALLY cool was that so many of our idols were in the film and ALSO IN THE AUDIENCE WITH US (I'm talking about YOU Jen Ponton and Virgie Tovar (#girlcrushheroes). Friday and Saturday were filled with many sessions, and most of them were amazing! One of the highlights was "Eating Disorders in Marginalized Populations: What is the impact of Food Insecurity?". In this session, we learned about the impact of food scarcity on marginalized populations, and how it impacted binge eating behavior. So impactful, and made us think about how we can listen to this community more about what they need. 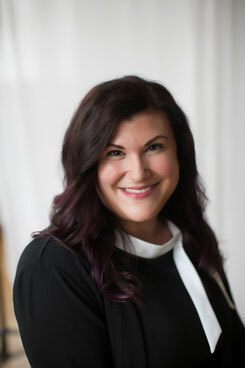 We also loved Amy Pershing's session, "Unsafe as a Way of Life: The Role of Complex Trauma in The Development of Binge Eating Disorder". The link between trauma and ED has been well documented, and Amy reinforced for us the identification of trauma in the BED population, and encouraged us to work without re-traumatizing, something we are grateful for. Dr. Kimberly Dennis taught us about the role of addiction in BED, and was careful to identify that we are not talking about 'food addiction' here, but rather, the idea that some of the same brain circuitry exists and reinforces binging behavior. Dr. Dennis is so smart, we wish we could listen to her session two more times, because it was a lot of good science to take in. Overall, this conference is always amazing and exhausting, and renews our passion to help women (and men!) recover from BED. 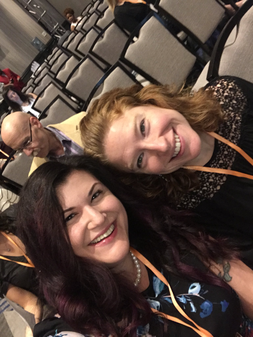 We got to see many of our friends and colleagues, caught up on the latest research in BED and Health At Every Size (HAES) and made some new connections in the field. In addition, we spoke with many folks about our upcoming book, and the importance of helping moms learn more about mindful eating! I know we'll get to attend this one again, and maybe even speak...! BEDA isn't just for professionals, though...if you or someone you love has struggled with BED in the past, BEDA can be an amazing place to gain community and information-anyone can become a member. Thanks to everyone who made this year's conference a success, and we can't wait until next year!